Sometimes paragliders come to Costa Rica with friends, spouses or family that do not fly. Here are some ideas for things to do in Costa Rica other than paragliding. If you are staying with and enjoy hiking, we recommend visiting Chirripo National Park. Cerro Chirripó is the highest mountain in Costa Rica, with an elevation of 3,820 metres and is located in the Chirripó National Park. Costa Rica is one of the best places for sport fishing. 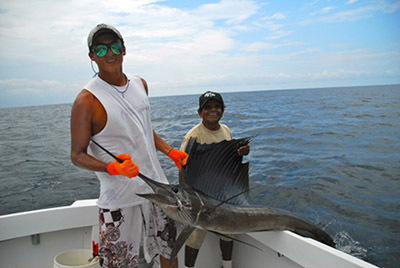 Sport Fishing on the Predator provides great sport fishing opportunity near Jaco. We can help you arrange for a great massage or spa experience. Plan on spending time downtown in Dominical and Dominical Beach. Find Brick Oven Pizza or other local flavors for dining nearby.